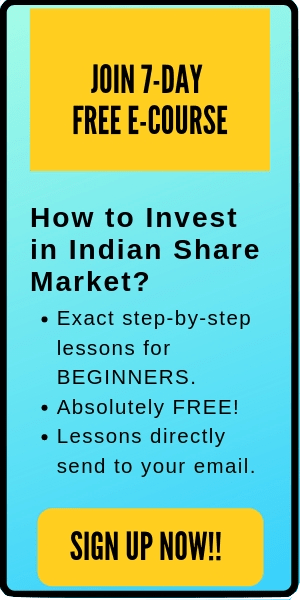 3 Easy Ways to Invest in Foreign Stocks From India. Hi there. Welcome to the day 7 of my ’30 days, 30 posts’ challenge. Today we are going to discuss a very interesting topic that has been demanded by multiple newsletter subscribers of Trade brains. So, let’s get started. 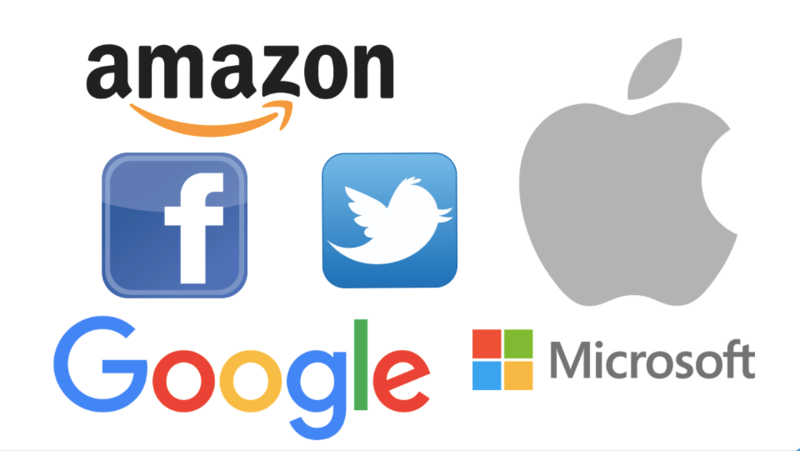 Apple, Google, Facebook, Amazon, Microsoft, Samsung, Twitter… These are some well-known companies in the world. We all have grown up using the products/services offered by these companies. But along with using their products, can we also own a part of these companies? Wait, these are not Indian companies, right? Therefore, they won’t be listed on the Indian stock exchanges. These companies will be listed in their respective country’s stock exchange. So, how to buy shares of a company that are registered in the foreign stock exchanges? In this post, we are going to discuss three simple ways through which you can invest in foreign stocks. First, why should you invest in foreign stocks? Are they better than Indian companies? Before you even read the ways to invest in foreign stocks, firstly you need to clear up your mind that why you want to invest in foreign companies. There are over 5,000 listed companies in Indian stock market. Aren’t they enough? Why do you need alternative stocks? Further, which one is better to invest- Indian companies or the foreign companies? Well, I’m really not in a position to answer the second question. These are giant multi-billionaire companies that we are talking about here. They have lots of highly qualified professionals in their management team. It won’t do justice if a boy sitting on his couch judges these companies. Nevertheless, I can share a few of my personal opinions regarding why to invest in foreign stocks. Also read: 10 Best Blue Chip Companies in India that You Should Know. 1. People want to invest in they favorite companies: Apple, Google, Twitter, Facebook, Amazon, etc. are the darlings of this generation. And of course, many people want to invest in these companies. 2. Diversification: Investing in foreign stocks helps in diversification. Let’s assume that the Indian equity market starts falling due to some local region. However, investing in foreign stocks can mitigate the risk in your portfolio as the local reason may not have a significant effect on the international markets. 3. The bigger opportunities: Once you start to invest in foreign stocks, there are no boundaries anymore. You can hunt for better (profitable) opportunities in the international markets. Besides the above-mentioned points, few investors believe that the foreign companies have better resources, facilities, government cooperation, and standards. That’s why they invest in foreign companies. Nevertheless, while deciding to invest in foreign stocks, you should also remember that India is that fastest growing economy in the world. On the other hand, most of the international markets are little saturated. Therefore, growth-wise, India has better potential. Anyways, it totally depends on your preference regarding where and how much to invest. As already discussed, there are both pros and cons to trade in international stocks. Also read: 9 Simple Yet Powerful Rules of Successful Investing. 1. Up to $250,000 can be invested overseas by the Indian residents: As per the RBI notification in Liberalised Remittance Scheme (LRS), an Indian resident individual can only invest up to $250,000 overseas per year. With the current exchange rate of ($1= Rs 68), this amount turns out to be over 1.7 Crores. Anyways, if you have a family of four, you can invest 4 x $250,000 = $ 1 Million. That’s enough money to invest, right? 2. Be ready for the high charges: While investing in the international stocks, you’ll be transacting in foreign currencies. For example, if you are trading in the US stock market, you have to pay the brokerages in US dollar. And hence, the stock brokerages may be a little higher compared to the charges in the Indian stock market. Similarly, the annual/monthly maintenance charges may also be higher compared to domestic accounts. 3. Profits are subjected to currency exchange rate: Let’s assume that you are investing in the US stock market. When you bought the US stock, the currency exchange rate was $1= Rs 68. However, next year- when you sold the US stock, let say the Indian currency got stronger, and currency exchange rate becomes $1 = Rs 62. In such case, you have already lost 8.8% due to change in exchange rate. That’s why when you invest in foreign stocks, profits are always subjected to the currency exchange rate. Quick Note: Besides the above factors, you also need to keep in mind the foreign stock risks. As these stocks will be listed on foreign stock exchanges – the environment and the factors (like local government policies, local trends etc) will affect the share price of those companies. How to invest in foreign stocks? Many full-service Indian brokers (like ICICI direct, HDFC Sec, Kotak Sec, Reliance money etc) has a tie-up with the foreign brokers. They have made it very simple to open your overseas trading account with their partner (foreign) brokers. 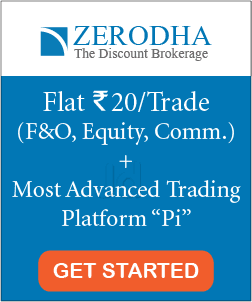 Few international brokerage firms like Interactive Brokers, TD Ameritrade, Charles Schwab International Account etc permits Indian citizens to set up an account and trade in US stocks, mutual funds etc. In fact, brokers like ‘Interactive brokers’ also has an office in India where you can visit, get your queries answered and open your overseas trading account. There are a number of mutual funds/ETFs who invests in international markets (global market, emerging market etc). You can invest in those mutual funds/ETFs to indirectly invest in the foreign equities. This is the easiest approach to invest in foreign stocks. An advantage of investing through mutual funds is that you won’t need to open any overseas trading account. Further, you won’t also require to invest a hefty amount. Compared to direct investing in foreign stocks (where you might be asked to maintain a minimum of $10,000 deposit), investing in mutual funds/ETFs are cheap. Investing in the foreign market will help you widen your investment horizon. Here, you can invest without boundaries in your favorite companies. Moreover, in the era of the internet- it’s not much difficult to invest in the international market. Nevertheless, investing in the international stock market has both advantages and disadvantages. The most significant advantage is that it helps in diversifying your portfolio. However, the obstacles are higher expense charges and currency exchange rates.